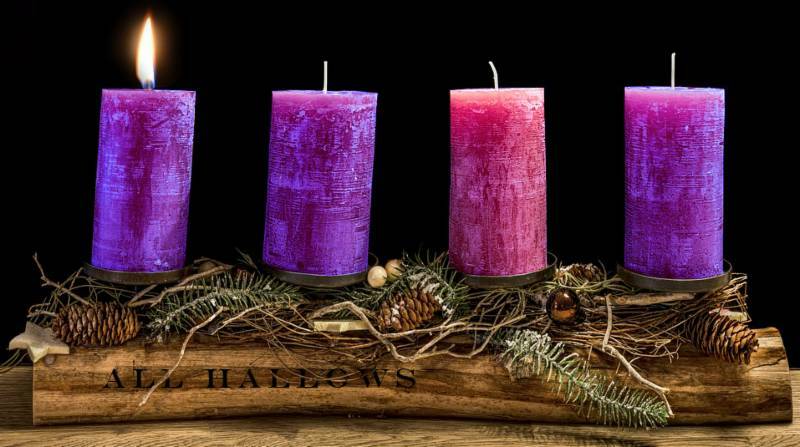 All Hallows Catholic Church > News > Advent > Join us this Advent as we continue our Mission! Join us this Advent as we continue our Mission! I hope you will agree that our Founders and First Families formed a parish of which we can be truly proud, a parish community built on deep faith and Catholic values. And, as All Hallows’ Parish approaches its Sixtieth Anniversary Year, we will be celebrating that illustrious past; but even more important, we need to prepare for the next six decades to come. Your help for a future that is as special, spiritual and filled with joy as our past sixty years is crucial! To that end, your monetary gift can make a great difference. That is why All Hallows’ is counting on you this year end. Please join us as we continue our mission of: prayer, education and service to the La Jolla community and beyond. Click here to make your year-end gift. Remember that your gifts to our church are tax deductible. a time to allow our faith to grow and mature. and those with whom we worship. prepare for the joy of Your coming!